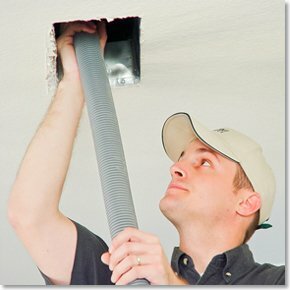 Professional air duct cleaning is necessary for any well-ran building. It eliminates dust, soot, and mildew and creates a better running HVAC that saves you money and keeps your building well-ventilated. Using KIWI for your commercial air duct cleaning ensures high quality cleaning at a price that is economical for your business and beneficial to your employees, clients, and visitors. KIWI wants to make sure your building and all who come in it are provided with the best air possible, which is why we guarantee 2 full years against the re-growth of mold and mildew with our antimicrobial treatment. As a certified IICRC company, you can depend on KIWI to get and keep your building’s air ducts clean. • Clean all components of the HVAC system including the unit, squirrel cage, and fan. • Hand wash all vent covers to eliminate all contaminants. • Vacuum all system ducts to get rid of all dust, debris, ash, and other issues. • Kill and prevent 2 year re-growth of mold and mildew through applying an antimicrobial treatment. • Thoroughly clean all areas around vents. • Prevent contaminants from re-entry by cleaning and replacing existing filter. For the most thorough commercial air duct cleaning, choose KIWI Services. Our detailed, professional and prompt process is comprehensive and unmatched. The innovative six-step methodology includes flushing away all dirt and debris in your furnace or HVAC system, hand-washing vent covers, vacuuming individual ducts, applying antimicrobial treatment, cleaning the surrounding vent areas and then cleaning/replacing filters or installing new filters. Call us today for a free quote.